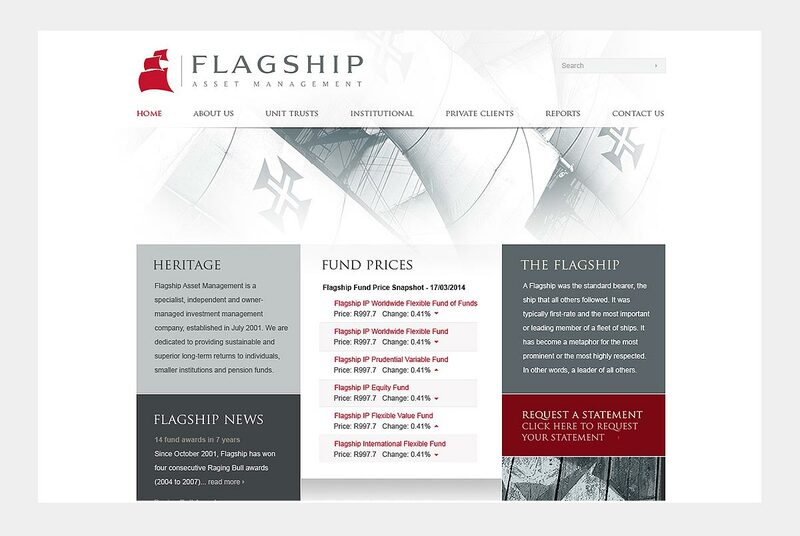 Flagship Asset Management is a specialist investment management company based in Cape Town. 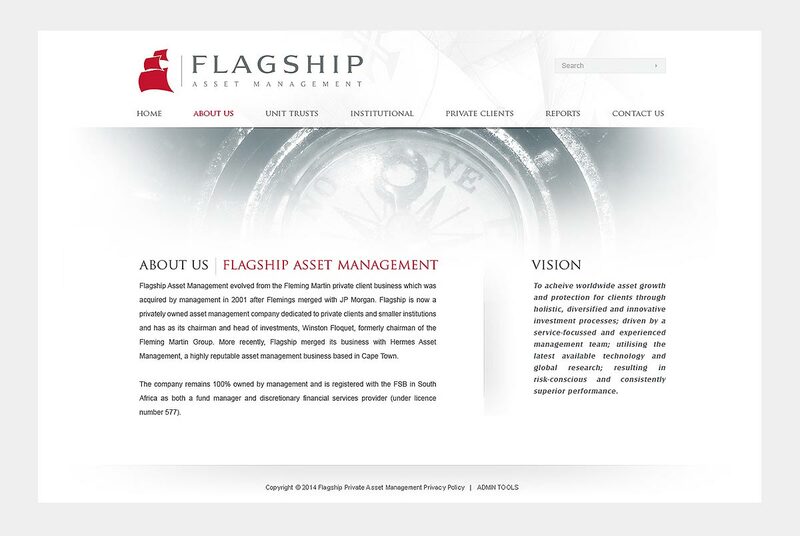 In line with their new corporate identity, Webfactory created a fresh website incorporating a subtle nautical theme and monochrome photography. 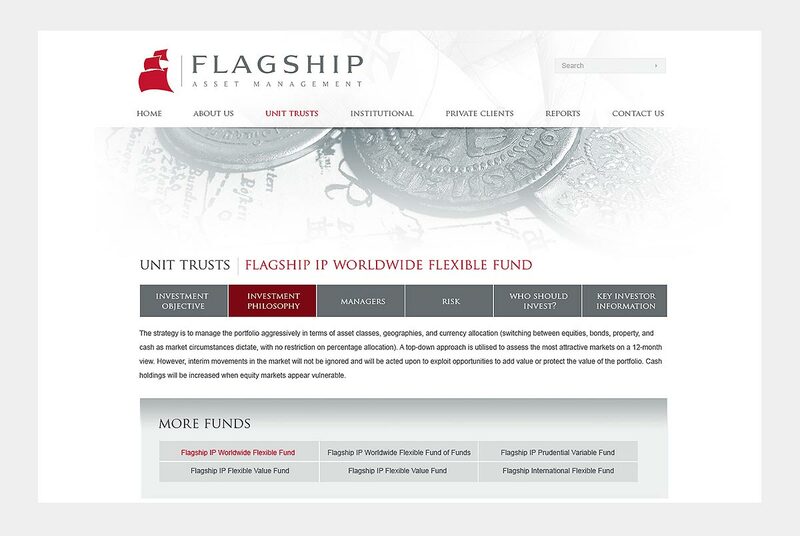 The site is structured to be user-friendly, with all information easily accessible, including daily fund prices on the homepage.